latest treatments where patients need it most – close to home. Dr. Wong cares about offering advanced neuroscience services. Hartford HealthCare cares about Southington. Patrick Turek is one of more than 500 Southington residents employed by Hartford HealthCare. 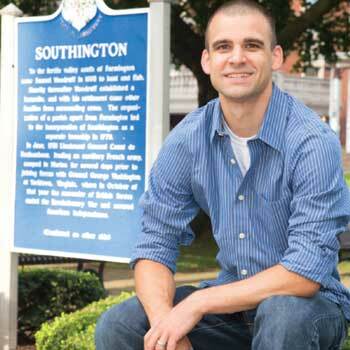 He chose to buy a home in Southington because of the town’s great quality of life, convenient location and all Southington has to offer. As Hartford HealthCare’s System Director for Emergency Management, it’s his job to provide the training and the tools that help keep patients, visitors and caregivers safe every day. Hartford HealthCare offers primary care physicians like Dr. Asciuto access to dozens of specialists at convenient locations right here in Southington. With this array of services, Dr. Asciuto is confident that his patients are getting the best care possible – locally. Dr. Asciuto cares about access to quality healthcare services close to home. Emergency responders care about saving lives in Southington. Ellen appreciates the easily accessible services at our new health center on Queen Street in Southington. This state-of-the-art building offers one-stop shopping and convenient access to a wide range of physicians and healthcare specialties close to home. Ellen cares about having world-class healthcare in Southington. Nellie is one of 99 residents at Mulberry Gardens — one of three resident-centered care communities made possible by Hartford HealthCare. 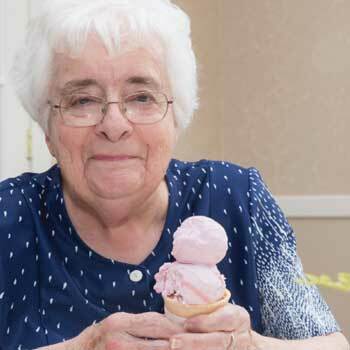 Living in her new home allows her to continue enjoying some of her favorite activities including singing, taking day trips, visiting with friends and … ice cream socials! 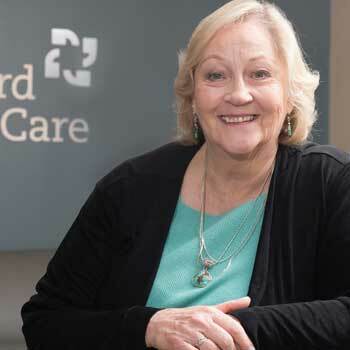 She’s one of thousands of senior citizens in Southington who benefit from Hartford HealthCare's many services. Nellie cares about her community. Sharon Robinson is deeply involved in the Southington community, proudly serving on the planning committee for the Healthy Family FunFest at the Aqua Turf for the last decade. The Healthy Family FunFest – an event sponsored by Hartford HealthCare and the Southington-Cheshire Community YMCA that attracts thousands of people every year – educates and entertains the community with free healthcare screenings, clinician meet and greets, information about services, giveaways, hands-on activities, children’s games, and more. Sharon cares about educating community members on how to live healthy lives. Hospital of Central Connecticut Counseling Center at 98 Main Street in Southington. Kimberly is dedicated to creating programs for patients with behavioral health and substance abuse issues. When Hartford HealthCare conducted a Community Health Needs Assessment for the town, residents said mental health and substance abuse were top priorities – and we listened. Dr. Kimberly Hughey cares about accessible behavioral health services.